It seems all preachers know how to do is convert people. Their sermons usually end with an invitation. They invite any unsaved person at church that day to come forward and receive Jesus as their personal Lord and Savior. Or they inspire the congregation to go out and invite unsaved people to church next week. Either way, their sermons end with a call for the lost to be saved. It seems this is all they know how to do. Both of these are necessary components of preaching. We need to invite the unsaved to belong to Jesus. And we need to inspire those who belong to Him to go out and bring others to Him. But we must also instruct those who belong to Him to be more like Him. This is the goal of the Christian life and failing to issue this challenge is to leave our people unequipped to grow in their relationship with God. First, we should avoid only inviting our people to belong to Jesus. Most people who attend church are already saved. So what happens if we tell them to be saved week after week? We cultivate a backward mindset that causes them to think of themselves as lost. We make them doubt rather than assure them of their salvation. We must recognize that our people already belong to Jesus and now need to be more like Him. Second, we should avoid only inspiring our people to bring others to Jesus. This gives them the false impression that once God saves them, He is done with them and ready to move on to someone else. He will continue working in their lives to bring them closer to Him by making them more like Jesus. And by the way, what could attract an unsaved person to belong to Jesus more than someone being transformed to be more like Him? Saved people need to hear the gospel as much as unsaved people. They just need to hear it differently. More than being invited to belong to Jesus, more than being inspired to bring others to Jesus, they need to be instructed to be more like Jesus. 1 John 2:6 says, “Whoever claims to live in him must walk as Jesus did.” That is the challenge for every Christian – to live their life the way Jesus would if He was them. Our job is to help our people make the connection between Jesus’ life and theirs. To cast a clear and compelling vision of how He would live their daily life. To change how they go to work, love their spouse, raise their kids, manage their money, treat their body, handle temptation, spend their free time, and plan for the future. To explain practical and realistic ways the Holy Spirit can make them more like Jesus. This is how to preach the gospel to saved people. Like! Like! Double Triple Awesome Like! Of the three components of preaching, teaching Christians to be more like Christ is by far the most important. Because if you teach Christians to be like Christ, then they will naturally convert non-Christians and teach their converts to convert non-Christians on their own. It is sad that preachers refuse to properly disciple and train their congregation to fulfill their Christian duties. 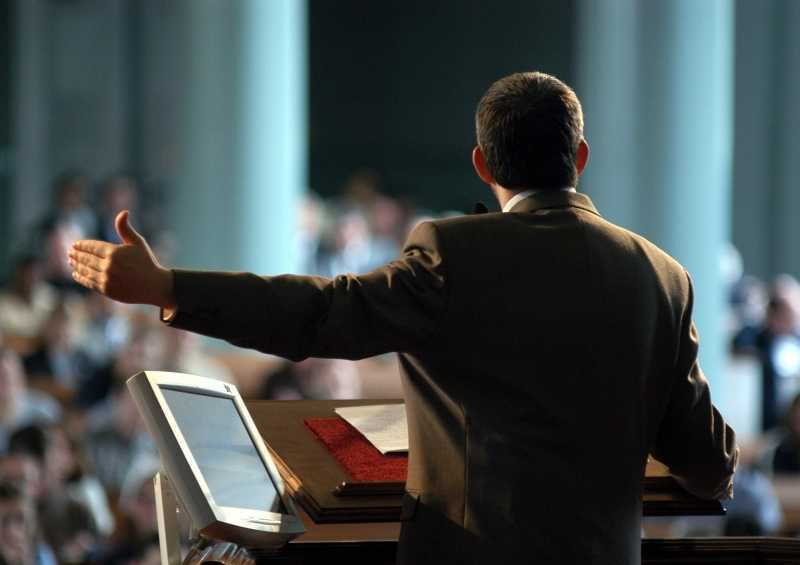 Instead lazy preachers tell the congregation,”Bring people to church, and I’ll convert them.” There’s nothing wrong with this approach as long as a preacher also teaches his flock to convert people. However many preachers think evangelism is only getting their congregation to bring people to church so that he can preach to them.